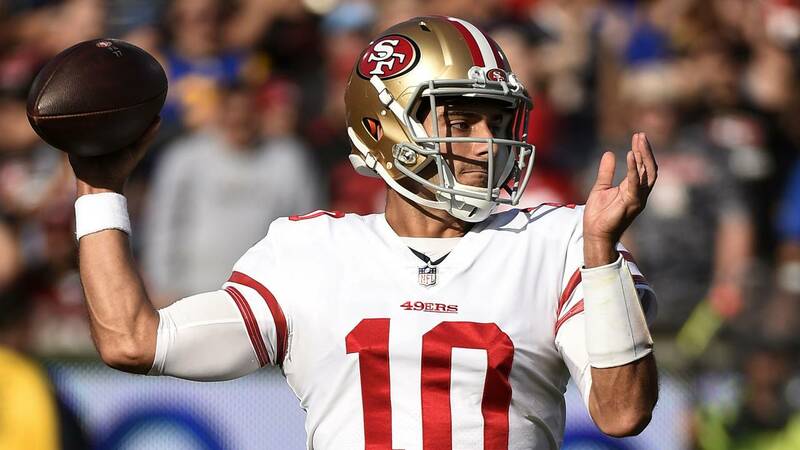 The San Francisco 49ers and Jimmy Garoppolo have agreed to a five-year contract worth $137.5 million, according to media reports. NBC Bay Area's Raj Mathai was the first to report the deal Thursday afternoon, while NFL Network's Mike Garafolo broke the news of the deal's amount. Burning question for athletes: Will you visit White House? The contract would make Garoppolo, 26, the highest paid NFL player on an average-per-year basis, surpassing Detroit Lions quarterback Matt Stafford's $27 million per-year average by $500,000. ESPN later reported that sources confirmed to them that the contract includes $90 million guaranteed in the first three years. The 49ers acquired Tom Brady's backup from the New England Patriots in October for a 2018 second-round pick. The team, who was 1-10 when Garoppolo made his first start for them in Week 13, went 5-0 over the rest of the season with him starting. Garoppolo has won all seven games he has started in his NFL career, including two with the Patriots last year while Brady served his Deflategate suspension.